So much changes in a year! 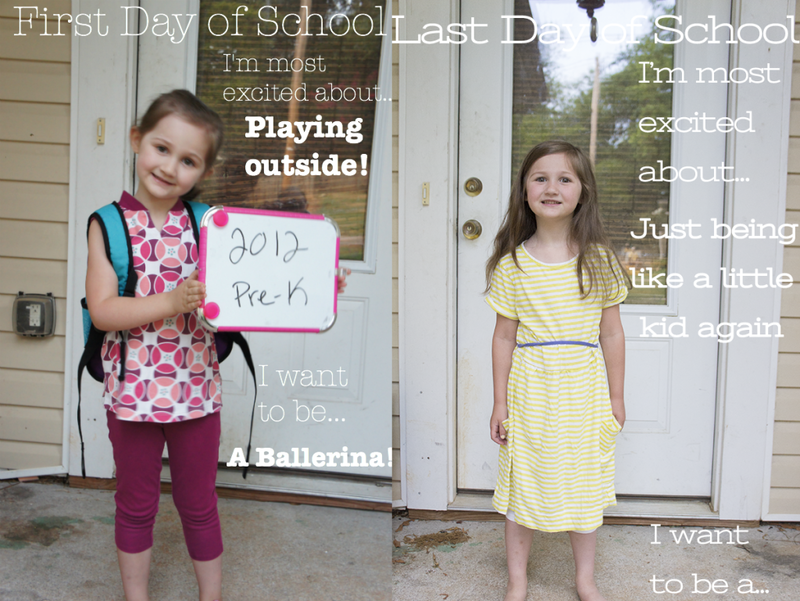 She loved school and her response to what she was excited about summer was priceless. Cute! I need to do this when my son starts K in the Fall! They change soooo much in so little time. Iz says she wants to be a teacher, too. The hubby asked if I’ve yet talked her out of it!! Time goes by so fast, doesn’t it? My son’s last day of preschool was last year at this time and it’s hard to believe he’s almost in first grade! She’s grown so much in a year! She looks so grown up! Being a kid and playing outside go hand in hand, so that’s a good thing! I hope you all have a super summer! Awww look at how big she is!